Our Story: We're just a family that loves agriculture and growing crops plus livestock for our local community, country, and the world. This love has been nurtured since I was young, and it is our hope that we are passing on this same love to our children. A love for the land, a love for collaboration and teamwork, and a love and respect for the Lord and his blessings. 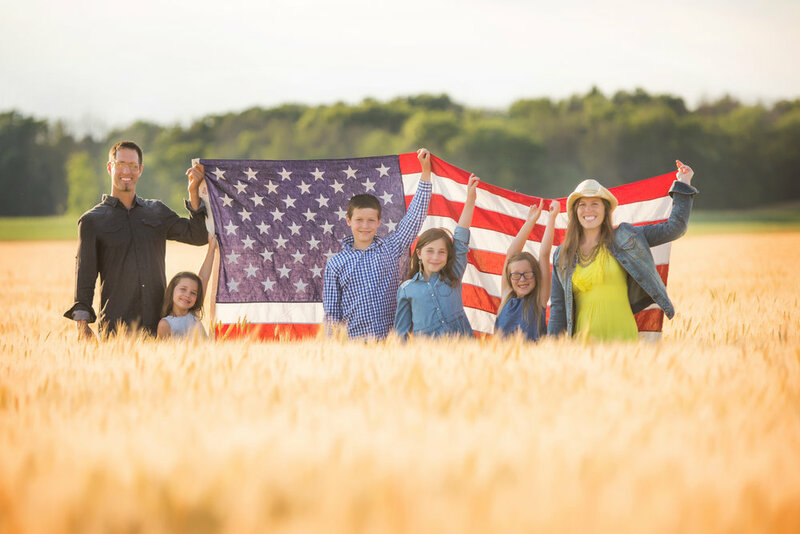 I'm Carla Schultz, and along with my husband Paul, and our 4 kids, Silas (age 13), Eve (age 11), Phoebe (age 10), and Piper (age 8), plus my parents: Mitchell and Krystal LaBair, we run Eight Plates Farm.